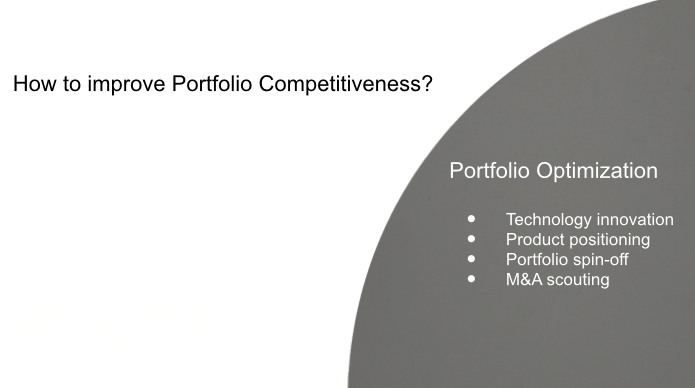 The ability to analyze your portfolio against the competition and determine the necessary actions to take to increase your competitiveness can be accelerated by the use of industry experts who think about these topics on a daily basis. Make, buy or partner, acquisition or spin-off, is there a path to innovation within the existing product set or are new products required. Just a few of the items Intergroup can help with.